Please take your time to read this guide thoroughly before you begin. Please note: Texmod is not compatible on ALL games. 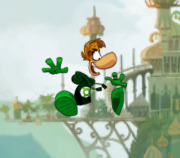 Rayman Origins is one of the few that is. 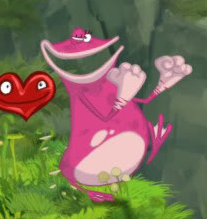 I've tested Rayman 2 and 3 for compatibility, but without any success. 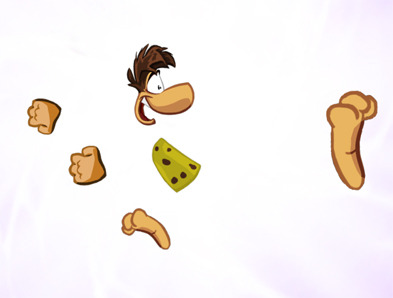 This is the list of current mods for Rayman Origins. Click the name of the mod to download it. Click the preview link next to the author name to see what it looks like. If you want to submit your own mods to the list, simply reply to this topic with a link to your mod file with an explanation what it does. An image preview is not required but appreciated. Once verified I will add it to the list. You can use cloud services like Dropbox or Mediafire to upload your file. I will create a backup of it on my own Mediafire. 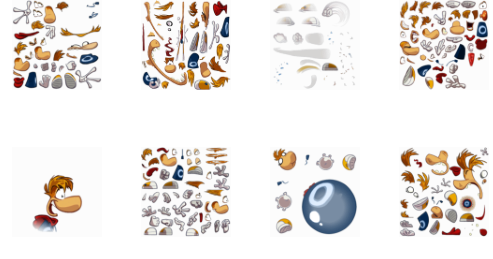 First, you will need a .tpf file, which is a file containing all the edited textures. These can be downloaded on this thread under the List of Mods. Once you have your mod and Texmod downloaded, unzip and run TexMod.exe. Click the big folder icon in the Target Application section and select Browse. 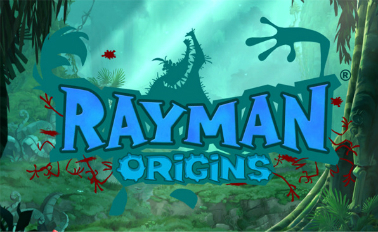 Find your Rayman Origins folder and select your Rayman Origins.exe (usually located within "C:\Program Files\Ubisoft"). Switch to Package Mode (should be default). In the Select package section press the small folder icon and find the .tpf file(s) you want to use and select it. Once all the mods you wish to run are in the list, press Run and the game will launch. Enjoy. Click the big folder icon on the Target Application section and select Browse. 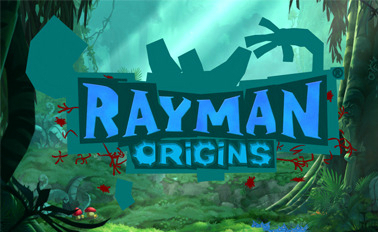 Find your Rayman Origins folder and select your Rayman Origins.exe. Select the options you want. I would advise you to keep "Show Texture on the upper left corner" and "Replace Texture (with a green texture)" on. Also, (and this is very important) select either .BMP or .TGA as output formats. This will save your textures as .bmp or .targa files. Keep pressing "+" or "-" (Numpad) until you find the texture you want (Notice the selected texture becomes green) and press the "Log with" key to export it. Edit the image all you want but leave the pixel resolution and name of the image alone, as well as the .log file as Texmod will use this later to build the package. Go back to TexMod and press the "Package Build" button. In the Definition File browse to the Output folder and select the TexMod.log file that accompanied your edited texture. 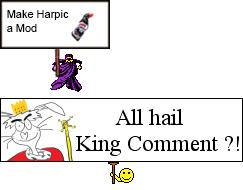 Enter your name and some comments (e.g. what you changed). Press Build. A new window will open up and ask you to specify a name and a place to save it. Give it a name and press save. Non-Playable characters: NPC's have a variable amount of textures depending on which character it is. Please do your best to capture all of said character's texture before you begin to edit. NOTE: All Globox models use an extra texture for the moskito ride. Don't forget it! Unfinished mods are no longer accepted. So if you happened not to have completed your mod, it will disappear from the list and I will notify you. 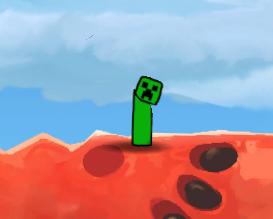 It is advisable to have Photoshop for editing your textures, as it supports the use of Alpha Channels. 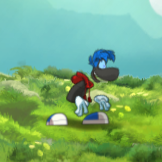 That is, unless you want all your textures to lack transparency, like below. How do you fix this? Simply have your Texmod save all the files as either .BMP or .TGA and this Alpha channel will automatically pop up in Photoshop when you open it. You can find the Channels window under "Window" in the upper left corner of your interface. It is usually accompanied with the Layers window. 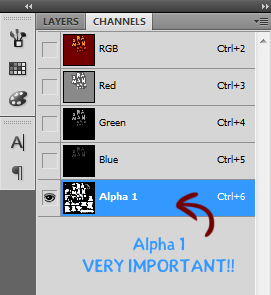 If you saved your textures as BMP or TGA, you'll notice the most underneath (5th) channel, called "Alpha 1". This channel is always in black and white, or greyscale. The alpha channel can be adjusted using these colours. 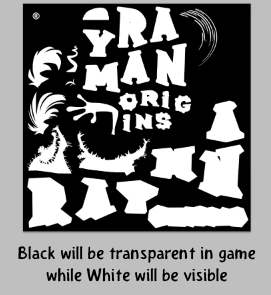 You will even be able to use different greys to create a semi-transparent effect. The darker the grey, the stronger the total transparency. But usually, you can leave the channel alone. Once finished editing, make sure the file stays saved as BMP or TGA and you can begin saving your mod. Just keep this in mind when making your textures, or you'll get unsatisfying results. A: No. Any modifications must be run through TexMod every time, and no changes are made to any game files. Q: How can I remove a mod? A: Run the game normally. Q: (3D) Can I create new models / new UI elements? A: No. Texmod only supports modification of existing textures, and can not access model data. 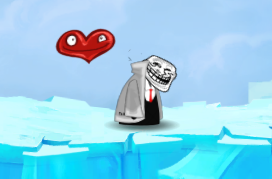 Q: (Online) Can other people see my mods? A: If they have the same mod active, then yes. Otherwise, no, only you will be able to see the changes. Q: Where can I find mods other people have created? A: A list of player-made modifications can be found here. Q: What version of DirectX is required? A: Texmod currently requires at least DirectX 9 (or higher) to run. In particular, DirectX 10 and 11 are ok.
A: TexMod does not yet support command line switches. Q: What are some common troubleshooting tips? A: Check you security software: Add Texmod to your anti-virus/security software's allowed or exceptions list (or disable it temporarily for testing). Q: I get a strange error message, with the text "D'OH". What does it mean? A: This is a general error message used for nearly all exceptions - as TexMod is beta software, error handling isn't up to par. 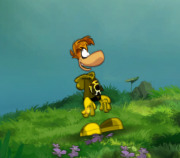 After being browsed to, Rayman Origins.exe can no longer be found in that location. One or more of the selected .tpf files can no longer be found or are corrupted and cannot be run. A virus scanner has blocked TexMod's access to the game file. If you are using a virus scanner or other malware protection software, it could be detecting TexMod as a threat (see below). Turn your virus scanner off, then use TexMod. Once the game starts, you should turn your virus scanner back on. Try running TexMod as an administrator, especially for Windows Vista or Windows 7. Q: My anti-virus/anti-malware software claims that Texmod has a trojan in it. Is this true? A: If your anti-virus/anti-malware program uses heuristic detection, a program's ability to modify the way another program works, it might detect TexMod as a trojan. These scanners cannot tell good modifications from bad ones. TexMod is obviously a false alarm, since the basis of it is to modify how a program runs by replacing textures that the program uses. Q: I followed all the directions, have DirectX 9 installed, and nothing changes. Why? A: Texmod requires a graphics card that is fully DirectX 9 compatible in order to work. Older graphics cards do not have the ability to fully use DirectX 9. This means that some programs that require it may not function properly, including Texmod. Q: TexMod used to work. Now it doesn't. Was there an update? A: TexMod has not been updated in several years; you almost certainly have the latest version. There is very, very little chance that an update to a game will cause TexMod to stop working. You changed anti-virus software or a recent (and automatic) update to the software requires that you tell it that TexMod is okay. TexMod points to an outdated version of a game; update it to the latest version. Without realizing, you moved files around on the computer and TexMod cannot find them. There are many ways to resolve this; the simplest is to reinstall TexMod and/or the mods. Q: The + and - buttons to shift through textures during the game do not work. A: You need the NUMpad buttons (far right of your keyboard) to shift through textures. If you don't have a NUMpad, open the virtual keyboard and use its NUMpad instead. To start off, I do not own Texmod. Texmod and the developers of the game you mod will not be held responsible if anything bad happens to your game while using Texmod. Do not contact the game developers for this! Texmod is only meant to do what it's made for. Do not try to hack it or do anything other than texture modding! Doing so anyway may lead to game corruption and will require full re-installation of the game! Last edited by Spanex on Wed Aug 28, 2013 3:24 pm, edited 36 times in total. Once my curiosity hath "piqued," but be it now quenched as I feast upon your good fortunes. You need to make a .TPF file out of these. You can find out how in the instructions on how to create a mod. Yeah, I did. I just didn't upload it so you guys could see what I changed. Well, I'm not sure what the problem is then. Either way, if you finish it, you're always welcome to link it here. I think I should edit some of the 'Creating a Mod' guide. Because a thought occurred to me, people might get problems with the transparency in edited textures, which is actually an easy fix when using Photoshop but not well known enough. I'm thinking Candy Land. And Clowns. And Mr. Dark. 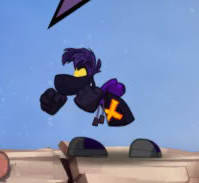 And Dark Rayman. One thing that's been taken care of. This has been quite interesting for me to follow on the other threads already; now I just need to see if I'll ever get into it, but until then, I'll much enjoy others' creations. 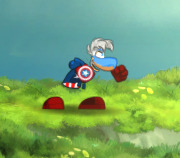 I'm working on a Rayman 1 skin. Heads up! 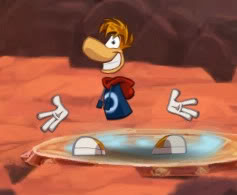 All the Rayman 1 sprites were able to be perfectly replicated, except for the eyes, which had to be modified to fit the rig. Sorry, but I thought this warrented a double-post. The skin is working absolutely fantastic! These are pictures from the first in-game test I've done, so excuse it being slightly messy with some incorrect scaling. One of the main problems is that when comparing Origins to the original (no pun intended), his proportions are slightly different. But it looks so awesome in motion! 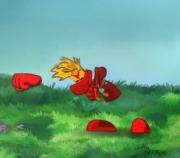 I think I might go about making an entire Rayman 1 mod. RayFan9876 wrote: Sorry, but I thought this warrented a double-post. The skin is working absolutely fantastic! These are pictures from the first in-game test I've done, so excuse it being slightly messy with some incorrect scaling. One of the main problems is that when comparing Origins to the original (no pun intended), his proportions are slightly different. But it looks so awesome in motion! HOLY CRAP THIS IS AMAZING SO FAR, wonderful job rayfan! Definetly record some footage sometime soon! Nicely done Rayfan! That will be a guaranteed add to the list when it's done. This is cool, I gotta try it sometime! I wish I had a Rayperson or Teensie OC so I could implement them with this. I just got an idea for one to put! I probably might not do it, so someone else can do it if they like. 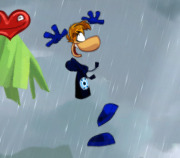 You know how in the Japanese version of Rayman 2, Rayman's torso is blue instead of purple? Yeah... just make it blue. 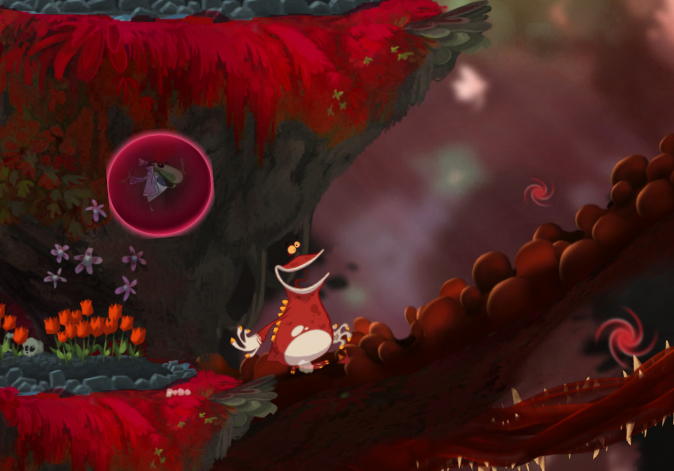 Then you can play with Japanese Rayman. 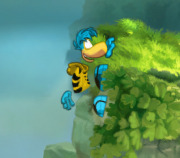 Even though I won't buy origins a second time (that is if my computer could run it seeing how old and crappy my computer is) I'll admit, I probably would have enjoyed messing around with this and putting my Rayman OC(s) into RO. shame. If these texture mods work on the demo hasn't been confirmed yet, so if you'd like to test it out with a mod in the list, be my guest! That R1 is awesome! It would look even better when fixed up! I give Tings to anyone that makes a perfect R2 skin! Haruka wrote: That R1 is awesome! It would look even better when fixed up! I would get on it but I've got my own stuff to do. I mean, hey, this is tings we're talking! Shrooblord wrote: I'm thinking Candy Land. And Clowns. And Mr. Dark. 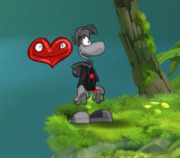 And Dark Rayman. One thing that's been taken care of. 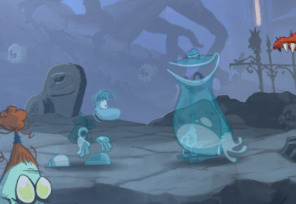 We still need a Bad Rayman for Candy Château though.